What is an ABLE Account? • The Sketchley Law Firm, P.A. An ABLE account is a special savings account for people with disabilities created by the Achieving a Better Life Experience Act (ABLE) of 2014. The purpose of these accounts is to allow people with disabilities to save money in a tax-favored way without jeopardizing means-tested benefits like Medicaid, SNAP (formerly called “food stamps”) or Supplemental Security Income (SSI). The money in and distributions from these accounts are meant to supplement the public benefit programs upon which a person with disabilities lives. 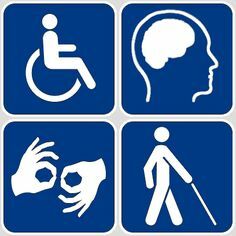 To qualify for an ABLE account, an individual must have significant disabilities. The onset of those disabilities must have been before age 26. If an individual with a disability is currently receiving Social Security Disability (SSDI) or SSI, she is automatically eligible to establish an account. If an individual is not receiving SSDI or SSI, but meets the disability criteria, she can obtain a certification letter from a physician. The letter must state that the individual meets the Social Security Administration’s definition of disability and that its onset was prior to age 26. Each qualified individual is only allowed one ABLE account. The ABLE Act established a list of “qualified disability expenses” for which the funds in an ABLE account can be used. These expenses include but are not limited to: transportation, personal support services, education, assistive technology, financial wellness, legal assistance, funeral and burial expenses, housing, administrative services, and other such expenses as approved by regulation. The Act also allows the funds in these accounts to improve the quality of life of the beneficiary by paying for “basic living expenses.” These accounts can be used for more things than can special needs trusts. The individual with a disability or someone on behalf of the individual can deposit funds into an ABLE account. However, deposits are subject to certain limits. Annual deposits in the account cannot exceed the annual gift tax exclusion under IRC § 2504(b). The annual gift exclusion is $14,000 in 2016 and adjusted annually for inflation. Account accumulations are also limited to no more than $100,000 for those receiving SSI; or, the beneficiary’s state’s limit for aggregate contributions under the Qualified State Tuition Program pursuant to IRC § 529(b) for those receiving Medicaid. That amount is $148,000 in Florida for 2016. ABLE accounts and special needs trusts differ from each other in many ways, including who can establish them and what they can be used for. There are benefits to using both depending on the circumstances of the beneficiary. Sometimes, both can be used together. 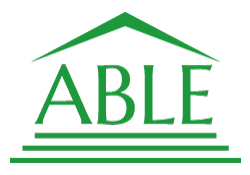 For more information about ABLE accounts, visit the ABLE National Resource Center. To understand how these accounts can impact and improve your public benefits and special needs planning, contact your elder law attorney.